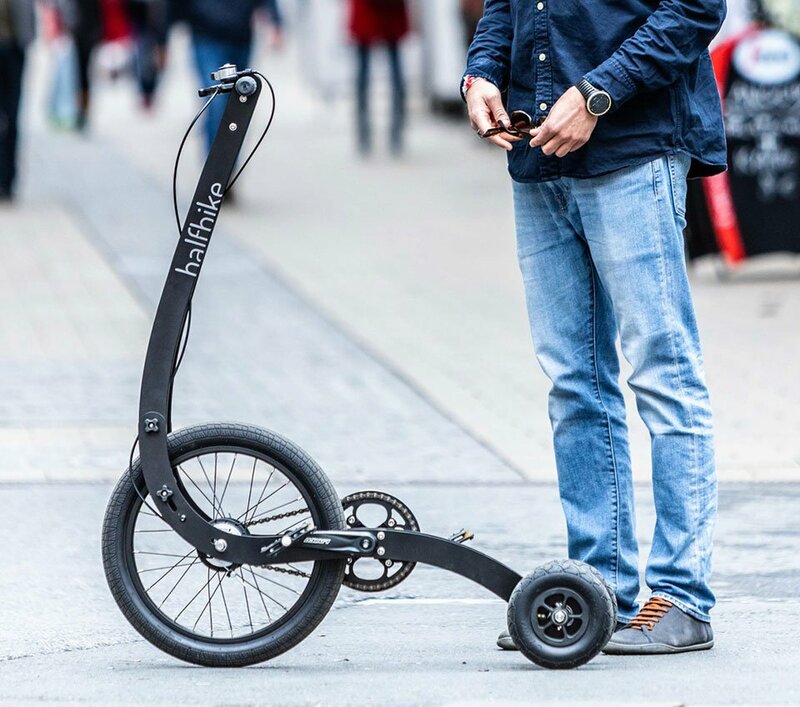 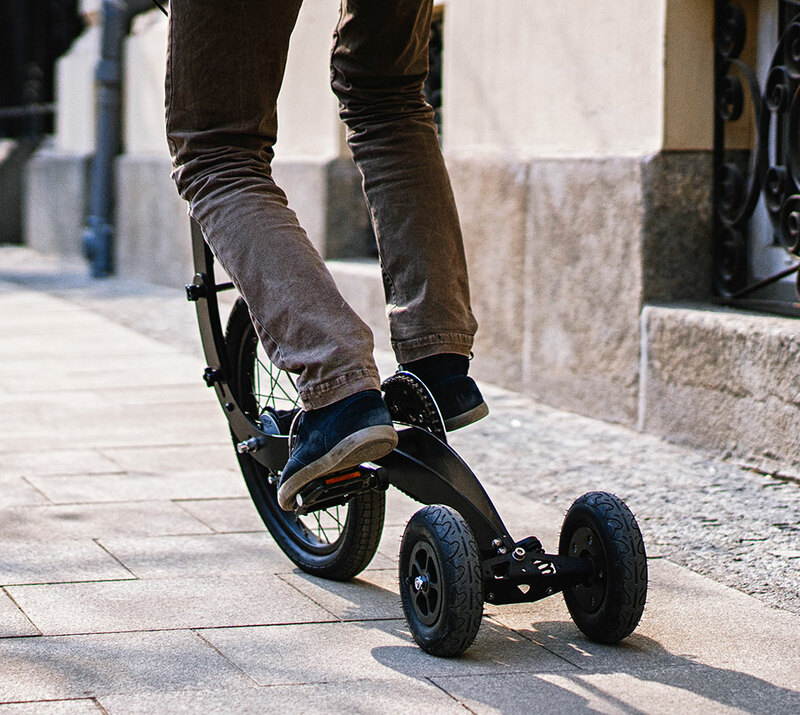 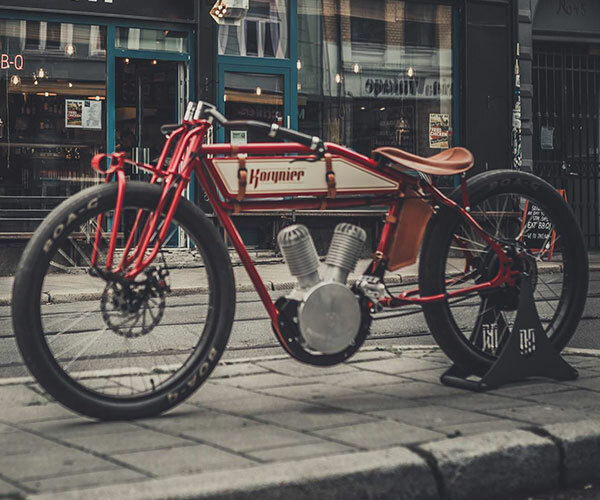 The unique Halfbike is part scooter, part bicycle, and all fun. 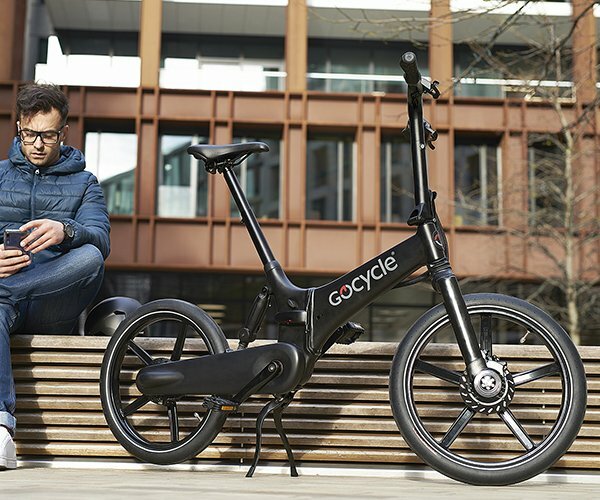 Its third version is lighter and smaller than its predecessors. 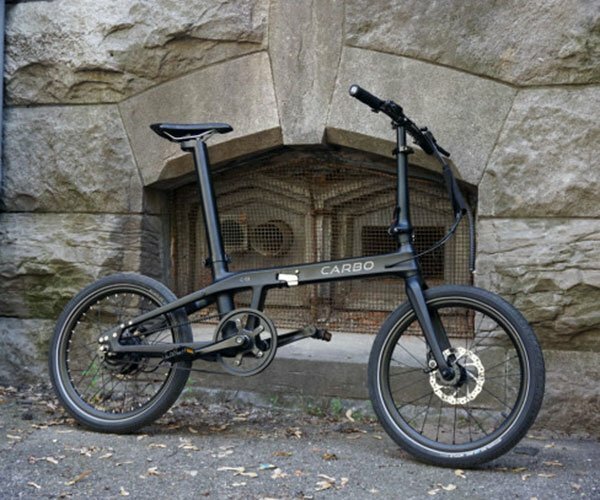 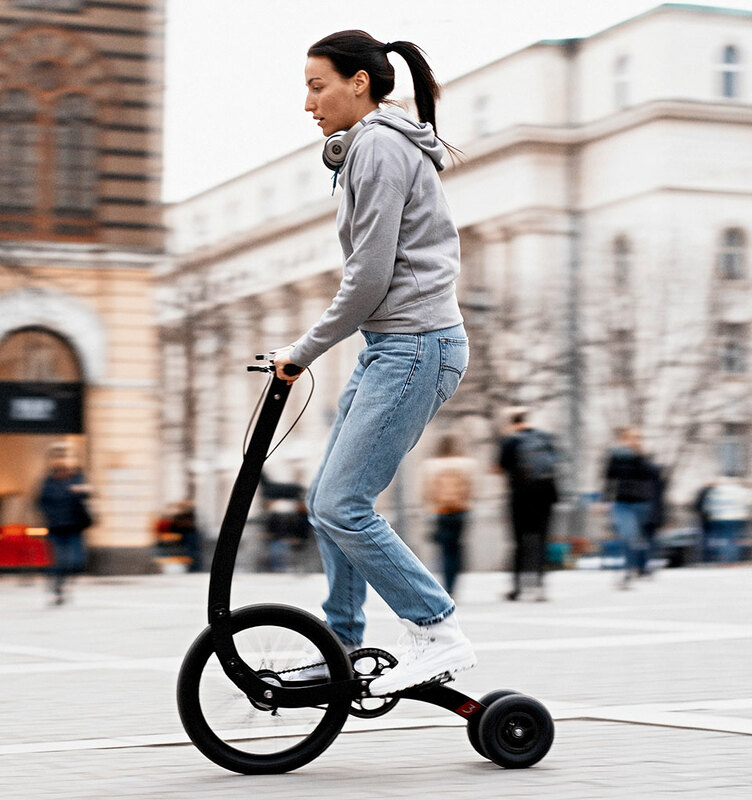 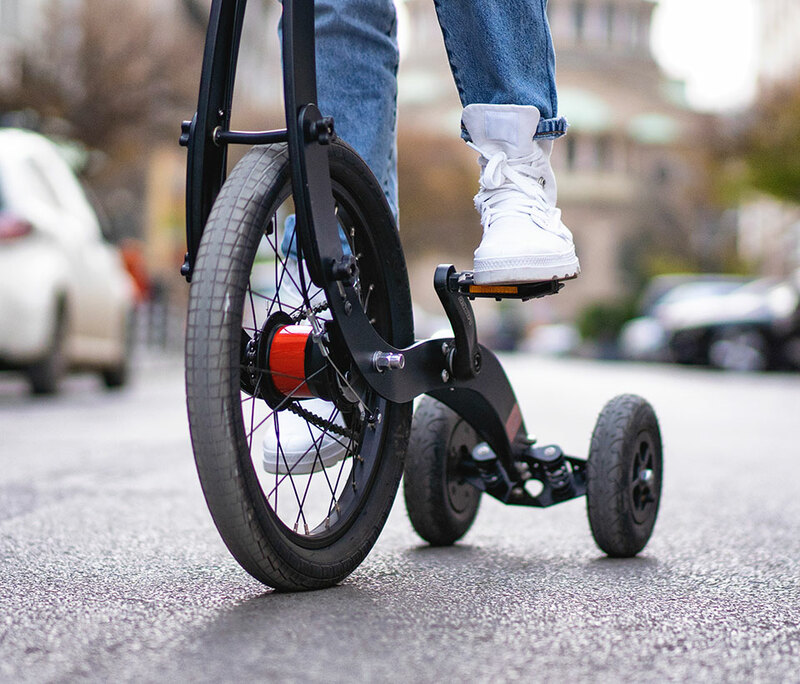 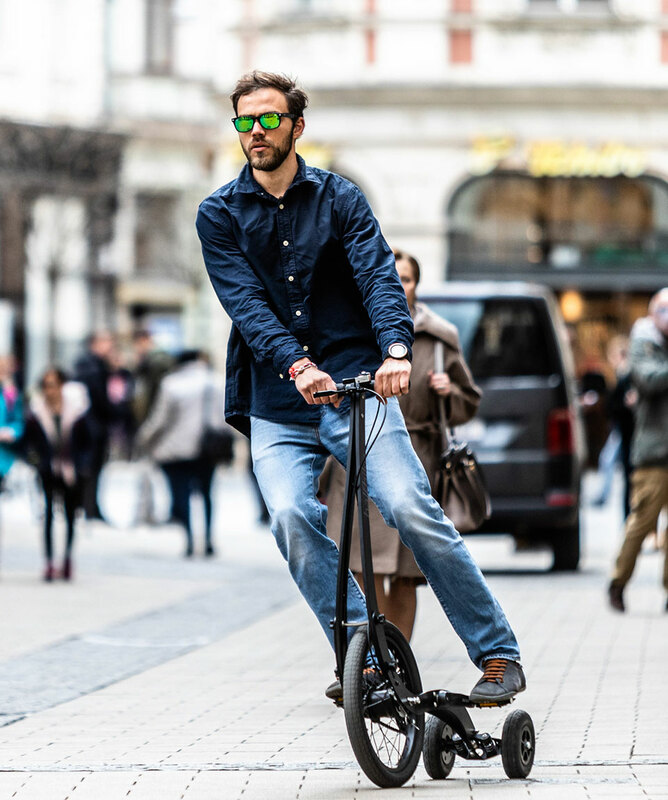 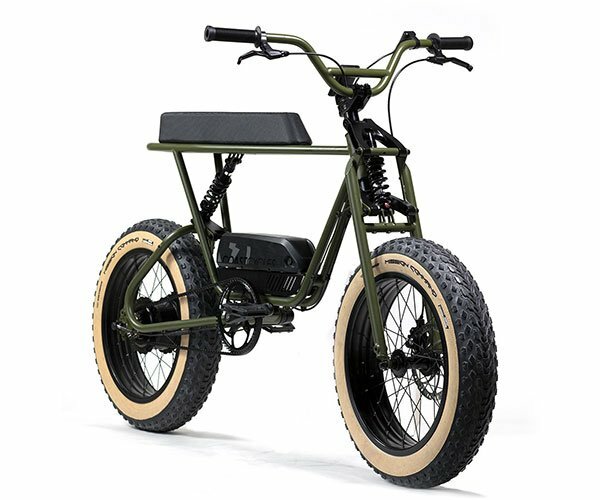 Its also more ergonomic, has more gears to tackle all kinds of terrain, has new maintenance-free brakes and a new quick-release mechanism for folding.